Police said criminals targeted a property at Kings Road, Stonehaven, and fled with electrical items including a TV as well as a silver Audi A4. An Aberdeen business owner has hit out after thieves stole £2,000 of tools during a raid on his shed. Police are appealing for witnesses and dash-cam footage following two break-ins at service stations in the north-east. Police are appealing for witnesses after a children’s Jeep was stolen in Aberdeen. The family of an Aberdeen man who died in a car crash have spoken of their shock after thieves stole his beloved motorbike. His silver Vauxhall Zafira was taken by a gang of youths who are suspected of three other car thefts since Friday. Police are appealing for witnesses after thieves stole copper cabling valued at around £6,000. A north-east owner today told of her shock after raiders struck – stealing a puppy. 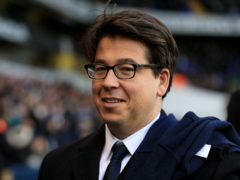 Comedian Michael McIntyre was robbed by a gang of hammer-wielding thieves on mopeds while he waited to pick up his children from school. A north-east charity has stepped up security after thieves stole cash meant to support children. The Evening Express looked on as officers opened 23 of 92 car doors with ease – and also opened 10 unlocked front doors. Crooks have targeted a city charity shop three times within 12 hours. Thieves targeted four sheds on one Aberdeen street in a single night, prompting a police investigation. A North-east teenager has been left “gutted” after thieves stole his only means of transport to get to and from his work. Police are appealing for information following the theft of more than 250 lobster creels in a North-east town. An Aberdeen community centre left devastated after it was raided by thieves over Christmas has received a boost from a North-east group. Callous thieves have stolen more than £1,000 of iPads and computers from an Aberdeen primary school. Members of an Aberdeen community are rallying round after thieves stole games consoles from a centre. Thieves have dampened the festive cheer in a North-east town. A family whose festive gifts were stolen by heartless thieves have had their Christmas saved by kind-hearted helpers. A woman has thanked a local business for stepping in to replace a projector stolen from her popular Christmas display. A family's Christmas has been ruined after heartless thieves stole presents worth thousands of pounds. Staff at an Aberdeen store have said they will continue trading despite being targeted by thieves for the third time in a month. A thief has been caught on camera stealing cash and booze in a night-time raid at an Aberdeen shop. Police are urging businesses to be vigilant after at least 13 charity collections were stolen across the North-east in the lead-up to this weekend’s Remembrance Sunday. An Aberdeen man is being forced to install CCTV at his property after he was targeted by thieves three times in a week. A number of commercial properties in a North-east town have been broken into. Thieves have been using "distract and deceive" techniques to steal from North-east stores. A shop owner today spoke of his devastation after thousands of pounds were stolen in a sledgehammer raid.